Why do what has already been done? More than a book of patterns,?The Mermaid Shawl & other Beauties, is designed to help knitters create their own works of knitted lace art. The featured shawl was introduced in 2005 on this blog?and subsequently described in a knit-along but throughout the knit-along Valentine encouraged knitters to make different choices to make their shawl unique to them. Now, using the same principles, she offers techniques, diagrams, charts and tips that offer knitters the opportunity to make choices and decisions that will make each shawl their own unique creation. 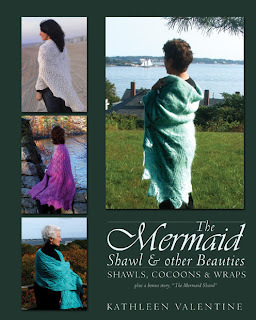 The book contains instruction for three versatile shawl styles, how to turn a rectangular shawl into a cocoon, a chapter on knitting on the bias, and an original short-story,?The Mermaid Shawl*, inspired by the featured shawl. Worth every cent, In my opinion. 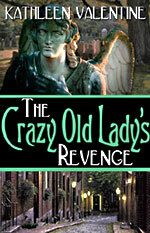 This is one I will read and re-read. ?–?MMario?on?Knitter’s Review.